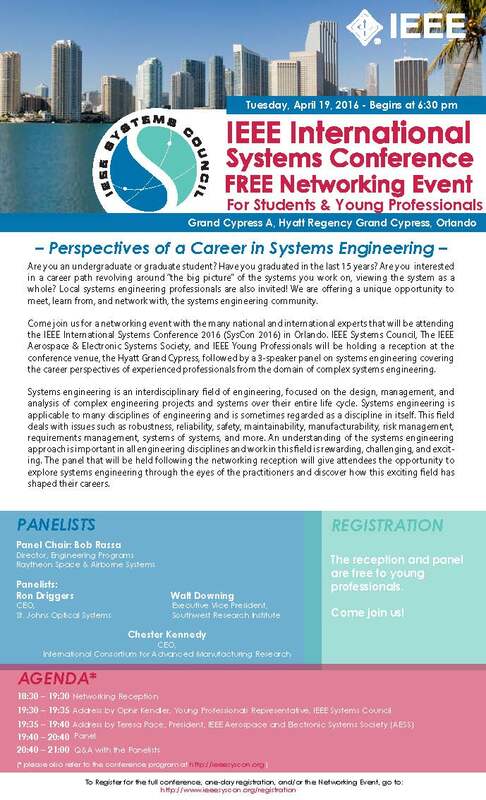 The reception & panel are free to young professionals. Come join us! Chester N. Kennedy has more than 35 years experience in the aerospace and commercial electronics industries. During his three-decade tenure at Lockheed Martin, Kennedy held a number of key leadership roles in the areas of engineering, program management and business development. As CEO of ICAMR, Kennedy plans to build upon the organization’s early entry into the highly competitive smart sensor market sector. He will focus on facilitating the partnerships required to help industry transition to the new era driven by the Internet of Things. Kennedy served as Vice President and Chief Engineer of Training and Logistics Solutions at Lockheed Martin Mission Systems and Training. He led a 2,000+ member global engineering team responsible for developing a wide variety of products, including support equipment, flight and ground simulators, training curriculums, automated test equipment and some of the most sophisticated Information Technology based logistics solutions in the world. Kennedy was accountable for program performance, managed department budgets, controlled engineering rates, and directed technology strategies to promote sustainability and support future growth. Kennedy’s diverse experience includes a rotation at Lockheed Martin’s headquarters where he was responsible for corporate-wide technology strategies and independent assessments of operational risks. He also actively participated in every phase of the program life cycle, from concept development through mature product sustainment. Kennedy is an outspoken supporter of STEM outreach and serves on Florida’s For Inspiration and Recognition of Science and Technology (FIRST) executive advisory board. He is an active member of the Board of Directors of the Orlando Aero Club, an Associate Fellow of the American Institute of Aeronautics Astronautics, a Senior Member of the Institute of Electrical and Electronics Engineers, and is Vice Chairman of the Martin Federal Credit Union Board of Directors. 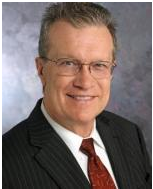 He also holds positions on Industry Advisory Boards for the University of Central Florida and University of Florida. Additionally, Kennedy has served on the Naval Research Advisory Council by appointment of the Secretary of the Navy. Kennedy holds a Bachelor of Science in Electrical Engineering and a Master’s Degree in Business Administration from the University of Tennessee. Ronald G. Driggers is currently the CEO of St. Johns Optical Systems in Lake Mary, Florida (since Oct 2014). Previously, he was appointed to the Senior Executive Service as the Superintendent of the Optical Sciences Division at the Naval Research Laboratory in 2008. There, he managed the efforts of more than 200 scientists and engineers and over $100M in research and development programs. Before 2008, he was the Director of the Modeling and Simulation Division at the U.S. Army’s Night Vision and Electronic Sensors Directorate (NVESD) and a brief period as the Chief of the Electro-Optics and Photonics Division at the Army Research Laboratory. 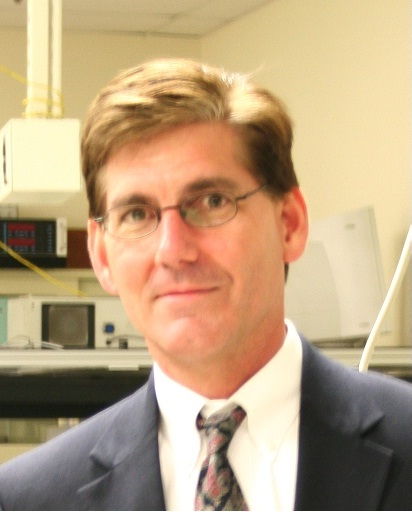 Dr. Driggers received a doctorate in electrical engineering from the University of Memphis in 1990, is the author of five books on Infrared and Electro-Optics Systems and has published over 130 research papers. He was Editor-in-Chief of the Encyclopedia of Optical Engineering (Taylor and Francis). He was selected as the 2002 Army Materiel Command’s Engineer of the Year, 2001 CERDEC Technical Employee of the Year, and 2001 NVESD Technical Employee of the Year. He is a U.S. Naval Reserve Officer and was selected as the 2001 Naval Engineering Duty Officer of the Year (William Kastner Award). He is also a Fellow of the International Society for Optical Engineering, the Optical Society of America, and the Military Sensing Symposium. In January 2010, he was assigned as Editor-in-Chief of SPIE’s flagship journal, Optical Engineering, and served as editor for five years.. In January 2015, he took over duties as the Editor-in-Chief of the Optical Society of America’s journal Applied Optics. While attending college, Mr. Downing completed a two-year cooperative work-study program with the U.S. Air Force Security Service at the Air Force Cryptologic Depot Laboratory. He participated in the development of special purpose communications systems. Upon graduation in 1973, Mr. Downing accepted an electrical engineering position in the petrochemical instrumentation and control systems department of Brown & Root, Inc., where he designed process measurement and control systems for a variety of plant applications. In 1979, Mr. Downing joined Southwest Research Institute® as a senior research engineer in the Data Systems Department of the Electronic Systems Division. His engineering assignments included design and development of an automated system for reliability testing of ballistic missile reentry vehicle electronics. Moving into technical management, Mr. Downing became manager of the Instrumentation and Control Systems Section to develop a new technical program area at the Institute. The technical program area evolved into the field of automated testing of aircraft electronics that became the Avionics and Support Systems Section. This section gained national recognition for work in the field of modular automated test equipment for the U.S. Air Force. Mr. Downing expanded his technical program area into avionics systems design and development. Recognizing the unique needs of military customers who must manage avionics systems far beyond commercial electronics lifetimes, the section began to focus on solving reliability and maintainability problems with existing systems through technology insertion. Mr. Downing managed the U.S. Air Force Design Engineering Program, a major R&M initiative. Under this program, Mr. Downing directed over $100 million of contract research, thereby growing his section into a department and later into a division. As division vice president, his job functions included planning, organizing, directing and controlling of research and development in the field of avionics and associated aerospace electronics, technologies for training, maintenance, and logistics support. Following a brief assignment as vice president for planning and program development, Mr. Downing was appointed executive vice president and member of the board of directors. He directs the operations of the Institute’s technical divisions and administers internal research, capital equipment, and other resources and services. EDUCATION: B.S., Electrical Engineering, Southern Methodist University, 1973; Graduate Study, Electrical Engineering, University of Houston, 1976; M.B.A., University of Texas at San Antonio, 1986. PROFESSIONAL CREDENTIALS: Registered Professional Engineer in the States of Texas and Florida. MEMBERSHIPS: Senior Member Institute of Electrical and Electronics Engineers (IEEE); IEEE Aerospace & Electronics Systems Society (AESS); AESS Board of Governors [2000-6 & 2012-present]; Technical Program Chairman IEEE AUTOTEST [1986, 90 & 93]; General Chairman IEEE AUTOTEST ; Member IEEE AUTOTEST Board of Directors [1996-9, 2001-9, & 2014-present]; Chairman of the Advisory Council of the College of Engineering at the University of Texas at San Antonio (UTSA); Member of the Advisory Council of the UTSA College of Business, Member Board of Trustees St. Mary’s University; Member Board of Directors of the Greater San Antonio Chamber of Commerce.